A Man From Kalmeshwar, Nagpur Got Married To Real Life Jyoti From Kapus Kondyachi Goshta! Hemant jadhav from Sangli was impressed by her story and has an earnest desire to marry her. We all remember the incredible movie "Kapus Kondyachi Goshta, " which revolves around a young and strong willed village girl, who against all odds manages to build a life for herself. The film was produced by Nitin Bhosle and was directed by Mrunalini Bhosle. This story was inspired by Sunanda Kolatkar whose stories was once published in the agricultural magazine Baliraja four years ago. But apart from the various awards and rewards that the movie gained, it has also managed to change Kolatkar’s life in the most beautiful way. Hemant Jadhav from Sangli was impressed by her story and has an earnest desire to marry her. 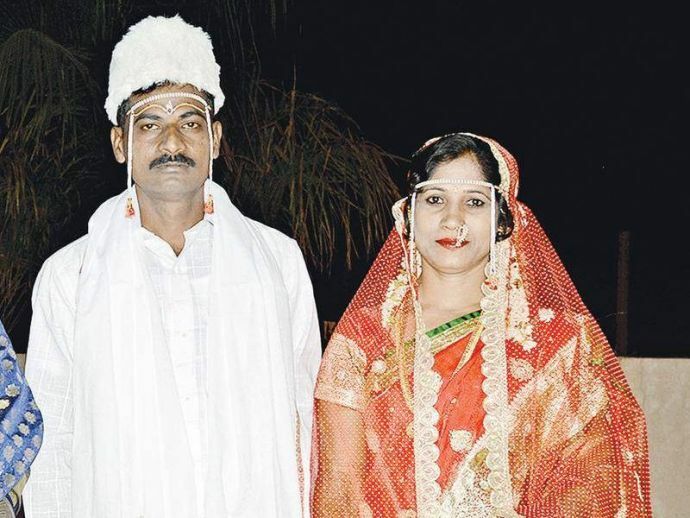 After six months of waiting, Kolatkar finally said yes to Jadhav and on April 27, they got married in Kalmeshwar. "After the movie was released, a lot of people came searching for me. But that was it. Hemant tried to convince me to marry him for six months. Only when I was sure he was the kind of person I would like to live with, I agreed. We are very happy and it feels as if this is a blessing from God," Sunanda said. The producer-director duo was also invited to the wedding to perform 'kanyadaan'. Hemant, 36, formerly worked in an automobile parts-making company, but now will move into Sunanda's house and together they plan to work on farm related activities. Well, if you do not believe in love stories, this one will really change your thoughts!